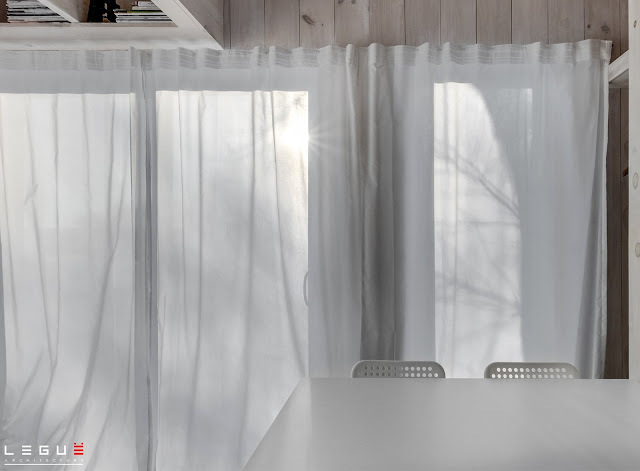 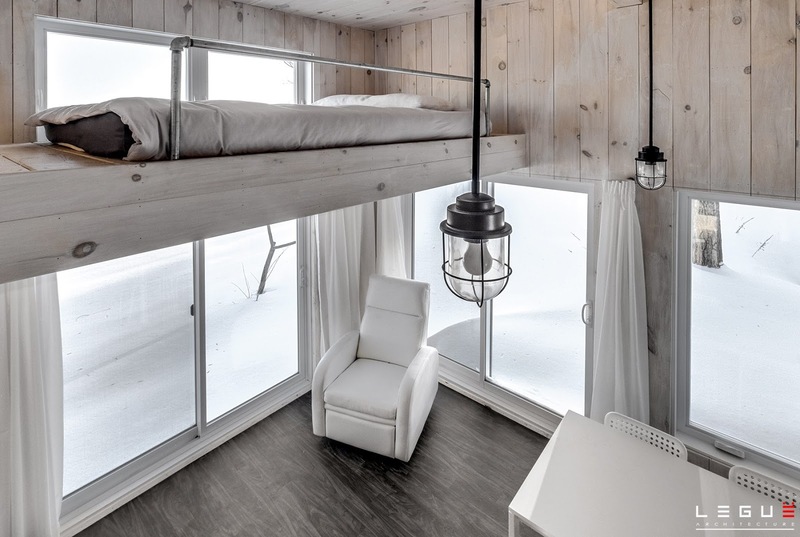 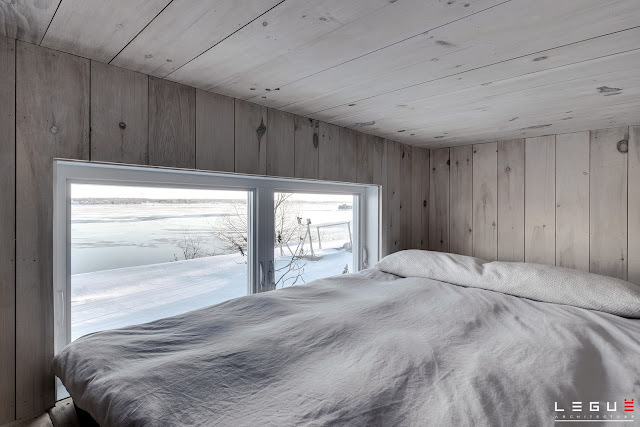 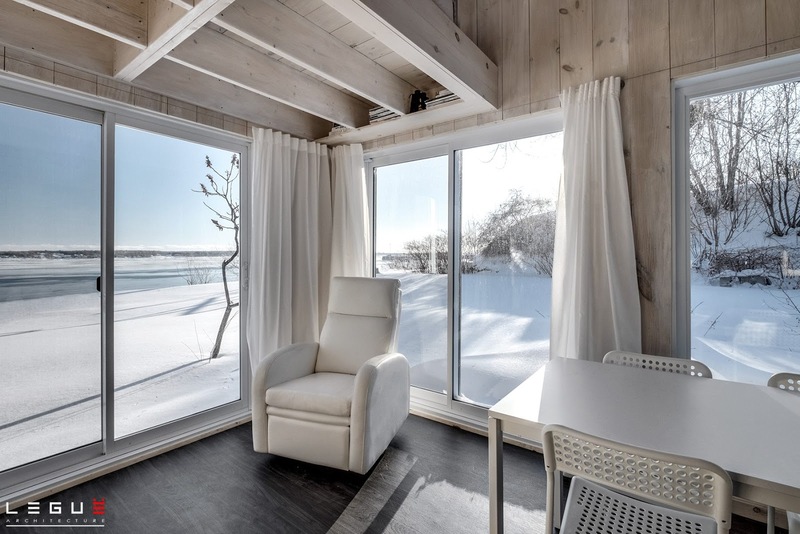 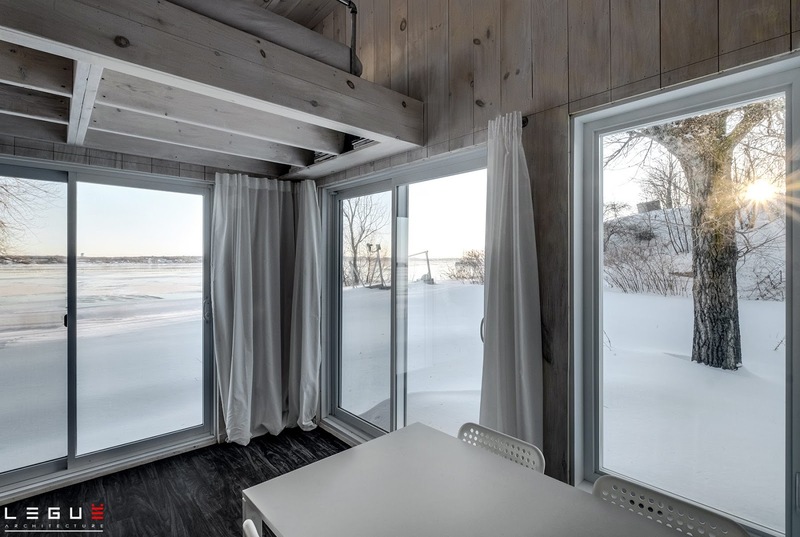 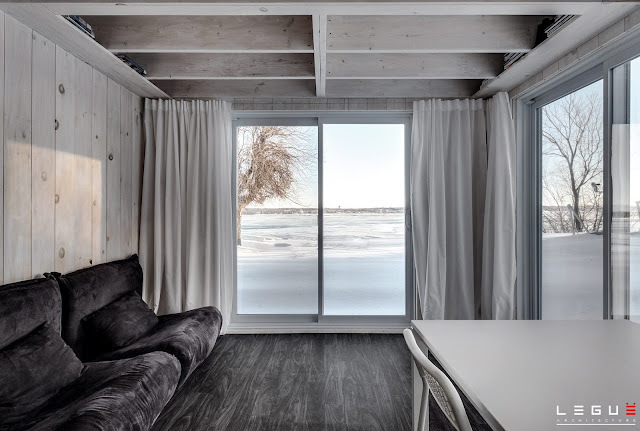 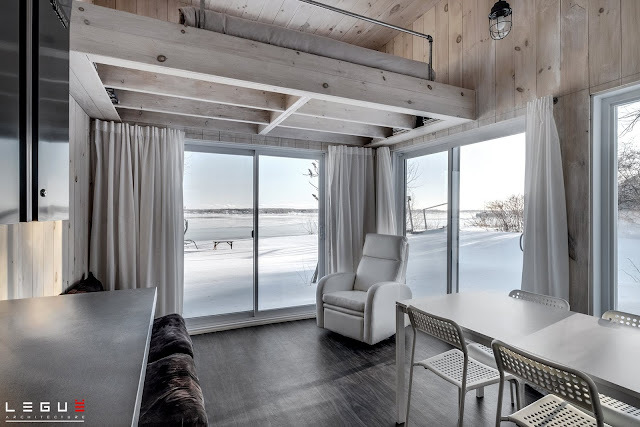 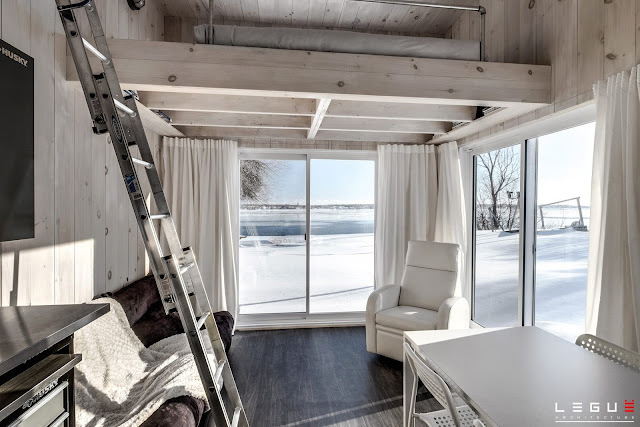 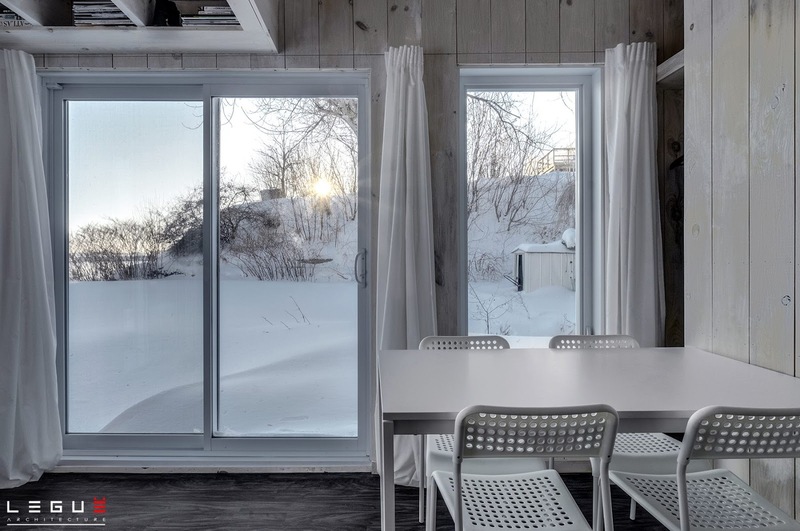 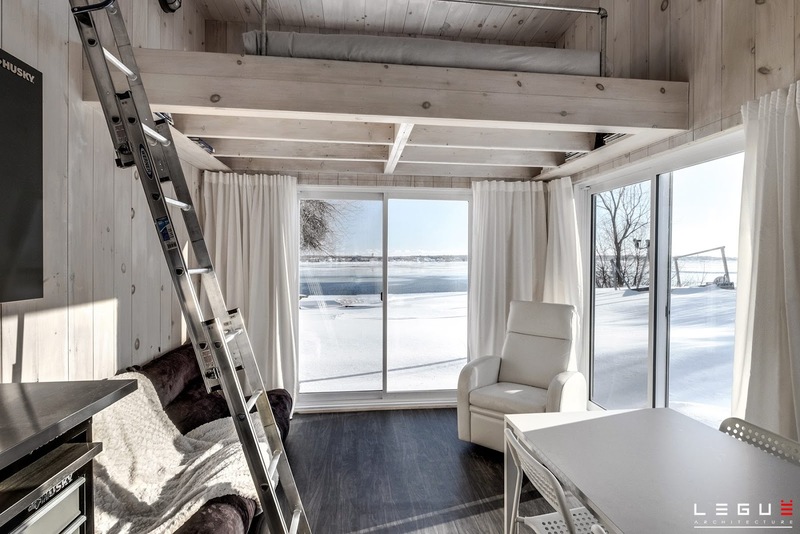 This beautiful, modern retreat was designed and brought to life by Leguë Architecture; an architect firm based in Trois-Rivières, Canada. 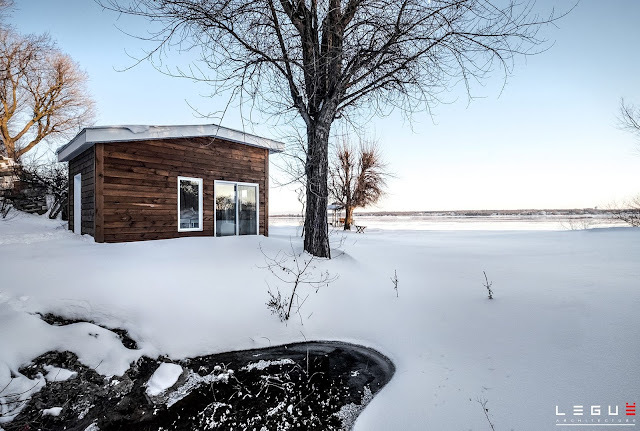 The home is a second structure built nearby the owner's main home as a quiet retreat by the water. 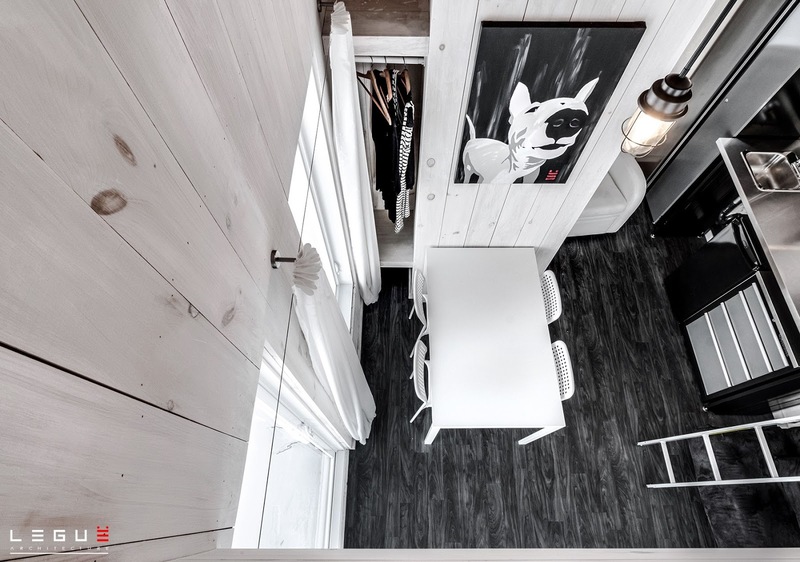 It measures 18 ft by 12 ft and has an interior size total of 216 sq ft. 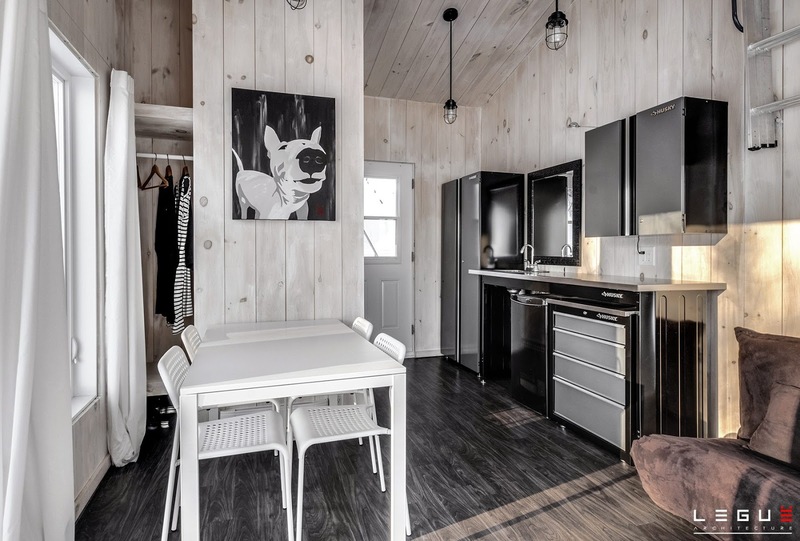 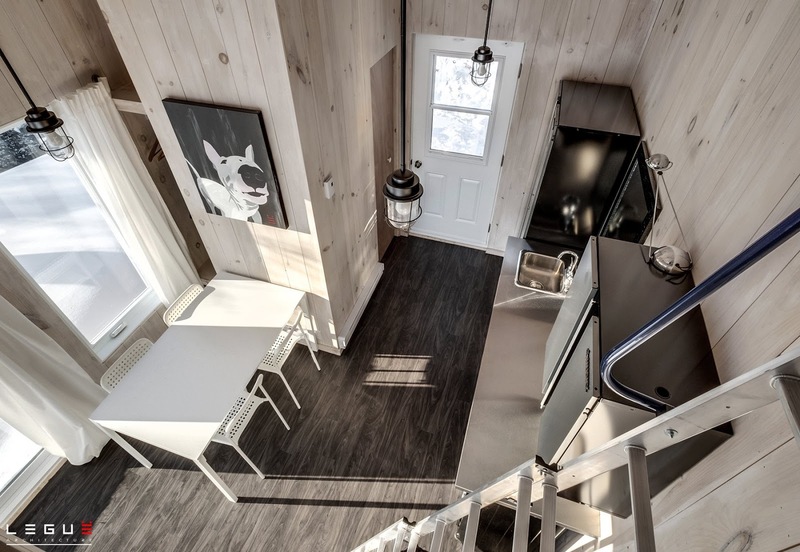 Despite its small interior, the home has a full kitchen, dining space, a living room, a closet, and an upstairs loft bedroom that's accessible by ladder. 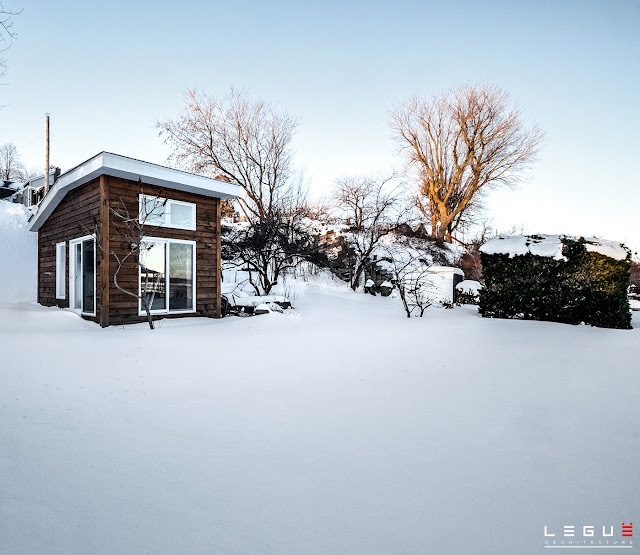 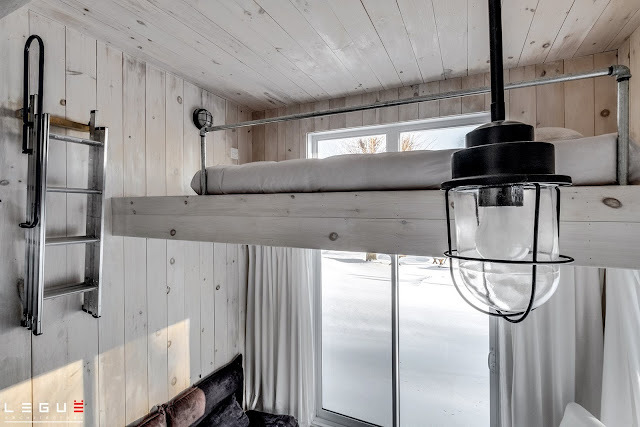 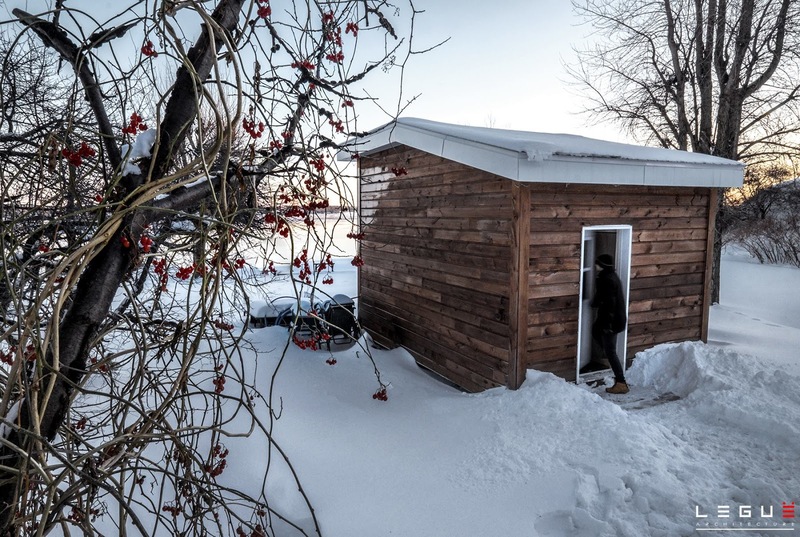 The structure was built for around $20,000 CAD (roughly $15,288 USD).